The recent events occurring over the Golan heights, which led to alleged numerous attacks by Israel on Syrian territory are truly worrying and not easily solvable – worse, the events show up Western powers as ineffective in the current Syrian war. There is no doubt that Iran has played its geopolitical cards well over the last few years: it established itself as one of the only allies of an embattled regime in Syria, managed to fly to the rescue of the Kurdish forces fighting ISIS in Iraq, wormed itself into a position of strength in Afghanistan and has managed to worry the Saudi establishment enough for it to consider allying itself with Israel, despite the symbolic consequences to the Palestinian cause. However, it is hardly surprising that Iran excels at guerrilla warfare, given that its military has adopted this modus operandi after some bloody lessons learned during the Iran-Iraq war and the subsequent isolation of the republic. Indeed, buying conventional complex and expensive weaponry is a rather arduous task when under severe economic sanctions (the development of a nuclear weapon is somewhat different, given the symbolic power that it bestows upon the wielder). Iran has understood for some time now that one of its advantages lay precisely in its religious and linguistic difference: consequently, bridges were painstakingly formed with Shia and Persian speaking minorities over the past few decades. However, these bridges are not bomb-proof: the differences between Iran and Lebanon’s Shia are sufficient for a faction to have been traditionally against Teheran’s interference in Lebanese affairs. Syrian authorities have also been wary of the conversion programs set up in the country over the last 2 decades that encouraged mainly Sunni Muslims of choosing 12er Shiism. Furthermore, the treatment of Iranian Kurds by the regimes taints the Islamic Republic’s chummy image it has managed to develop among the neighbouring Kurdish brethren. Last but not least, the fact Teheran has not hesitated to send Afghan battalions into some of the most intense battlefronts in Syria, against the promise of potential citizenship or financial compensation should they be killed, should serve as a reminder that Iran will not hesitate to cynically use some of the weakest members of its society and those neighbouring it (Afghan illegal immigrants) on the pretext of cultural proximity, to further its geopolitical ambitions without sending its own sons to slaughter. On the other hand, Israel’s affirmation that it will not hesitate to strike preemptively should it perceive a danger to its territory or its interests only works insofar as the Israeli administration is certain that Washington (and its western allies) would fly to its aid, militarily, economically, politically should the preemptive strike provoke a violent reaction from the Iranian side. This is a dangerous gamble – indeed, quite apart from the legal and ethical ambiguity of launching preemptive strikes and the obvious possibility of using it as an excuse for acts of unwarranted violence motivated by far less noble sentiments, it forces the world into a potentially lethal war. In other terms, the preemptive strikes blackmail the international community into taking action and (presumably) siding with Tel Aviv. 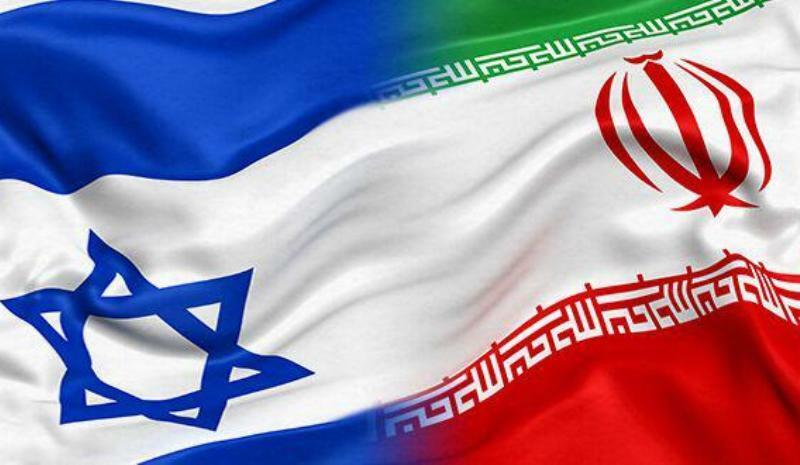 In such a situation, there are only limited solutions – the first one, highly unpalatable though it is for “Western powers”, relies on Russia becoming the new powerbroker between the players, given its objective alliance with Iran at the moment and its historic ties with Israel. Such a possibility is of course a humiliation to the US and a stark reminder of Europe’s impotence in matters of war. The second one, perhaps only slightly more agreeable to western stomachs, is that of imbuing Turkey with the authority to help reach an accord. Indeed, Turkey possesses a number of cards that play to its advantage: NATO member, close economic ties with Iran and historic military ties with Israel, current distrust of both countries and an interest in reducing the insecurity across the border in Syria and Iraq. However, it remains to be seen whether the European powers would be willing to let Turkey become yet again an inescapable partner in matters pertaining to the Syrian crisis, given the current frosty climate between Ankara and Brussels.